Boban Marjanovic only needed 13 minutes of action to post a new 2018-19 personal-high in points. The Los Angeles Clippers suffered an away defeat on Wednesday. The Memphis Grizzlies got the “W”, but Boban Marjanovic proved once again that he’s effective in the paint given the chance. 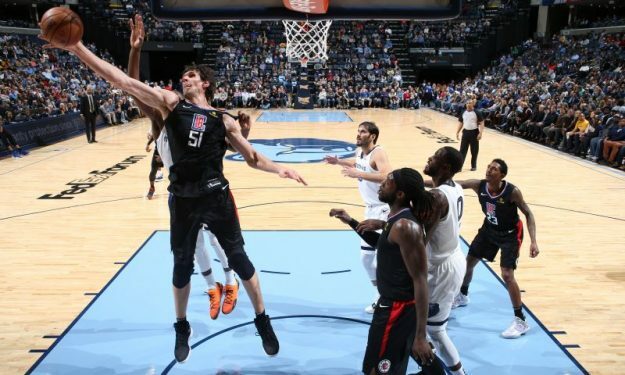 Doc Rivers reinstated 30-year-old Marjanovic in his rotation to match up the opponents Marc Gasol and Joakim Noah center duo. The Serb center took advantage and scored a season-high 19 points. He had 11/12 free-throws and 4/5 two-pointers in just 13 minutes, also grabbed eight boards.